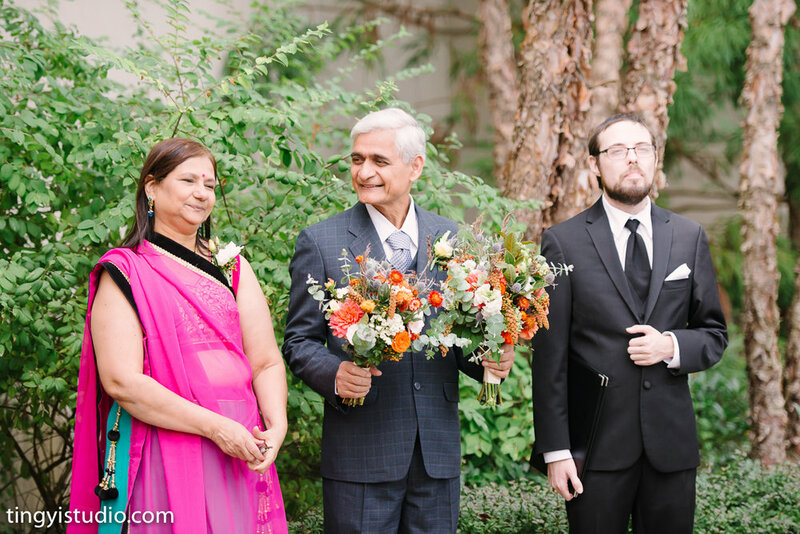 Noopur and Brian had a mid September wedding with the perfect fall colors to accent their Indian and American style wedding. We used a variety of late fall blooms from our fields, including, dahlias, zinnias, straw flowers, millet, and eucalyptus. All the different textures gave the bouquet a fun overall look while still creating depth and making a classy statement. 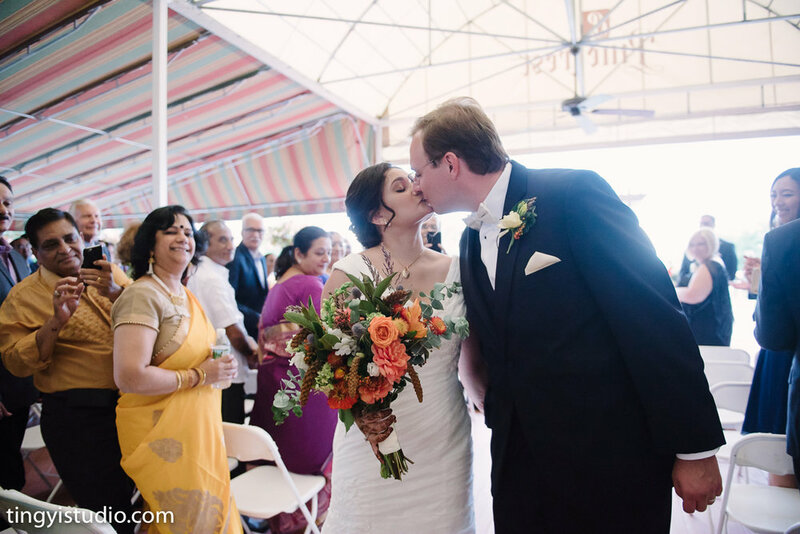 Enjoy the photos captured by DP Studios. Community Supported Agriculture subscriptions are a big part of what we do here weekly at Flourish. We love supplying farm fresh local flowers to our community! This year, we plan to expand our gardens even more and we want to invite you to be part of the bounty! You can sign up to have a fresh bouquet waiting for pick up at our barn in East Earl every week for 26 weeks. Our full season share starts on April 18th and goes through October 10th, and costs 330.72 dollars. You can also choose to have a 13 week half share from April through the middle of July, or starting in July and going through to the end of the season in October. Half shares cost 165.36 dollars. Pick up is on Tuesdays from 12-6pm. A CSA subscription makes a beautiful gift for a friend or loved one that they can continue receiving for weeks on end. To sign up, you can reach us through our contact page or call us directly with any questions! Please note which classes you are attending. If you have a floral clippers, plan to bring it with you to class. All other materials will be provided. Feel free to bring any cuttings from your own garden that you want to include in your designs. We love to get new ideas from you! We will need a minimum of 5 people to run a class. You will be notified and reimbursed if we need to cancel any classes. Our very first class of the season will bring some much needed fresh flowers into our homes again! We will be creating lush arrangements in fancy urns that will look lovely on your table or counter top. Join us for a fun night of making floral crowns - a renewed trend in weddings right now! We will have some sweet anenomies blooming and hopefully some big tree peonies to experiment with! 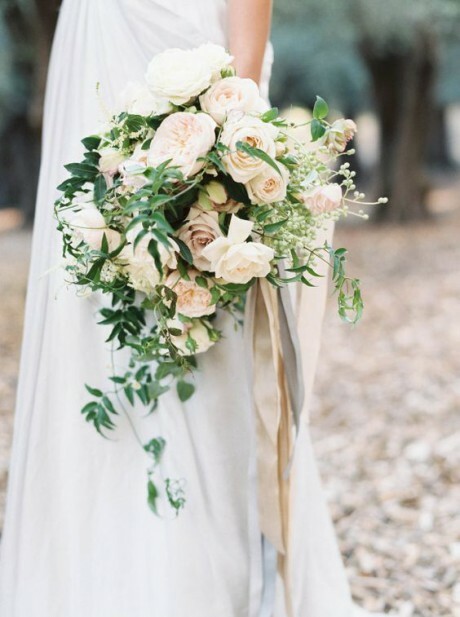 Wedding Bouquets with Everyone's Favorite: Peonies! We will swoon over each other's bouquets as we make some lush, full bouquets with peonies and other fabulous late spring flowers. Using summer's bounty we will create a lovely design in versatile earthy containers. This is a fun project! We will use wooden boxes with a collection of moss, fall flowers, greens and other materials to make a unique and lovely fall centerpiece. We will be making a 5' garland made from various greens to spruce up your home for Christmas. There are so many ways to use these in decorating: doorway, mantle, banister, table, etc! 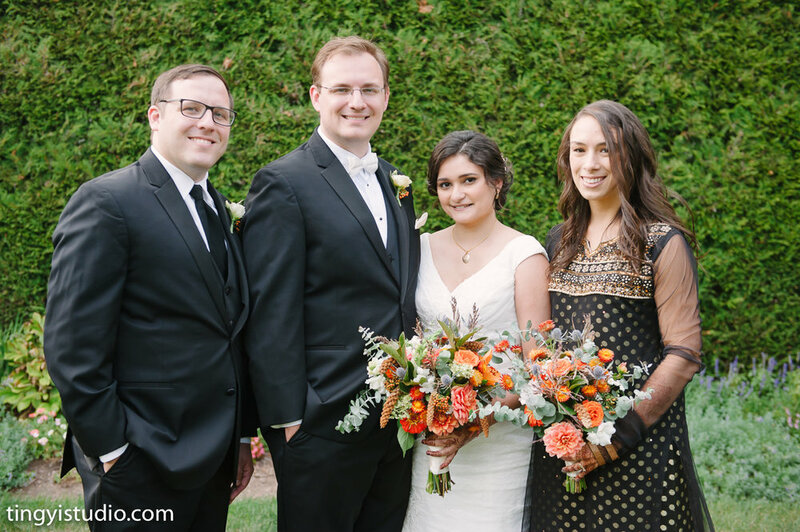 Jennifer and Andrew's wedding was so fun because they wanted flowers everywhere! We are of the opinion that flowers add so much color and life to special celebrations and the more the merrier! Some highlights for us: the flower crown for the flower girl of course, big alter piece arrangements, and a variety of shapes and sizes for the reception centerpieces. We also got to use a lot of flowers and greens from our fields which is always an added bonus for us to see the end result of our hard work. 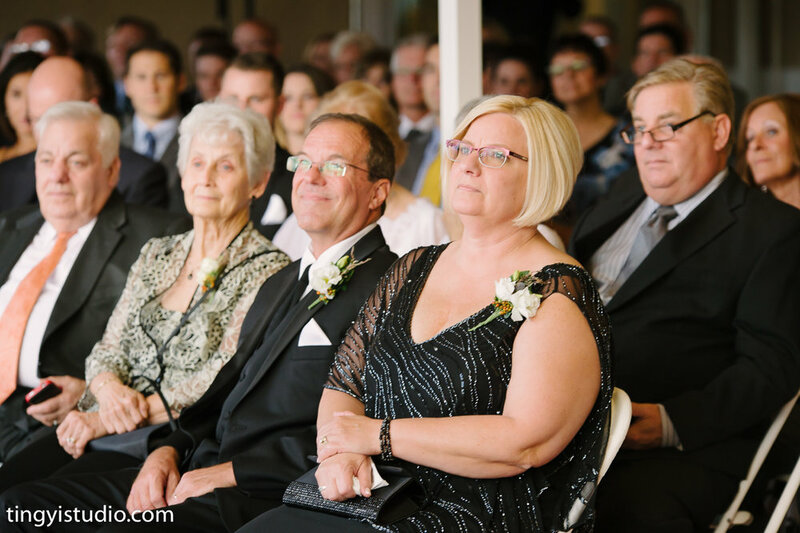 Thank you to Erin Keough Photography for the excellent photos! Oh my goodness. These are the sweetest pictures that our neighbor Angie Kauffman, of Angelique Photography, took of her daughter in our summer flower fields! We just had to share them! We thoroughly enjoyed hosting a group of ladies this month for our first fall wreath class! Donna did a great job taking us through the steps of crafting our wreaths with dried flowers, grasses, mini pumpkins and gourds, and more. The results were so unique and very festive! Decide on a shape for your design. There are no set rules when it comes to styling your wreath. Depending on what you like, you may choose to take your flowers all the way around the circle or have everything resting at the bottom or going up one side, but it is good to have an idea before you start gluing anything down. Choose your design items. Donna suggested using about 3-5 different colors or shapes on one wreath. You don't want too many different things going on at once or your eyes will get lost. Choosing different textures and either complimenting or contrasting colors will make everything flow beautifully. Balance. Balance doesn't necessarily mean symmetry. Donna's demonstration wreath (above) is a good example of this. She chose a pumpkin for the focal point in the center and then used similar elements on either side but not always the exact amount of each item. Try stepping away from the wreath and looking at it from a distance to see if there is a hole that needs filled. Glue and Hanging. Wreaths hold together best with hot glue and lots of it. Be careful not to burn your fingers and remember to hold each piece in place for a few seconds to makes sure it stays put while the glue dries. When it's time to hang your finished product, we recommend using a thick wire to make a loop towards the top of the back of your wreath. Your wreath will be much more secure if you hang it by the wire instead of mounting the base itself directly onto your door hook. This summer was full of beautiful wedding designs and Emily and Michael's flowers were no exception. The yellow, green, and white look bright and cheery against the light blue bridesmaid's dresses. We also love the mini flower girl bouquets and the little touch of gray dusty miller. We got to use our own yellow lilies and bells of Ireland too! Enjoy the photos captured by the ever talented Janae Rose Photography. This beautiful wedding got some media attention! We were excited to find out that our flowers made their way to an article on Philly.com featuring Ben and Beth's special day! Check out the link to view more of Addie Eshelman's excellent photos and to read about the couple's unique love story. They got married at Lake In Wood Campground which is just a few miles from Flourish and very familiar to us. 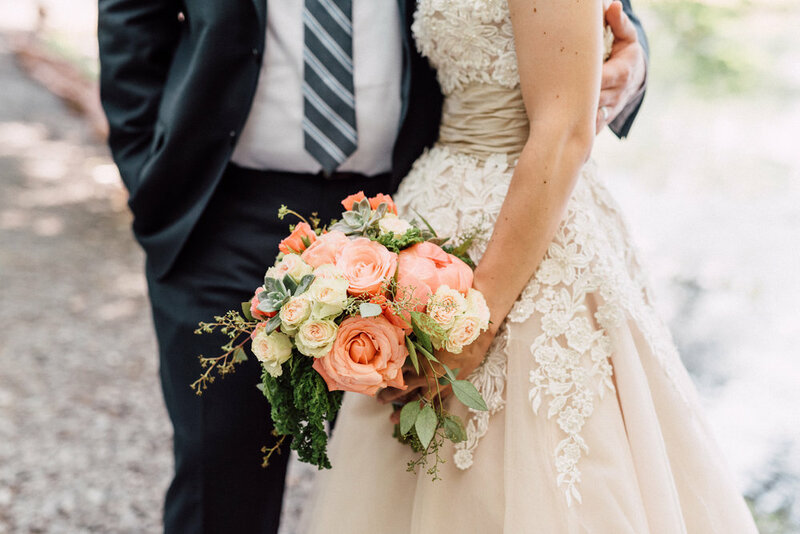 Beth chose a lovely combination of coral and soft pink and we got to use our favorite coral charm peonies! We also love the flower girl bouquet and the use of succulents. We are always happy to allow friends into the gardens to get some pretty flower backdrops for pictures, but as a flower farm we are frequently harvesting so there aren't always very many blooms in the field. Luckily, on July 4th when Becky, of Rebecca Shivers Photography, came to Flourish to take anniversary photos of this lovely couple among the rows, there was lots of color in the field. We're thankful for the opportunity to share her gorgeous shots of the gardens! Highlighted here are some mid summer staples; sunflowers, lilies, and larkspur. Enjoy! Faith and Kurt got married in a beautiful grassy grove with trees for a canopy and a vast field behind them. Needless to say, the colors were spot on. Faith wanted lush green bouquets with just touches of white and coral. It was so hard to choose pictures because there were so many great captures by Rebekah Viola Photography! Enjoy! 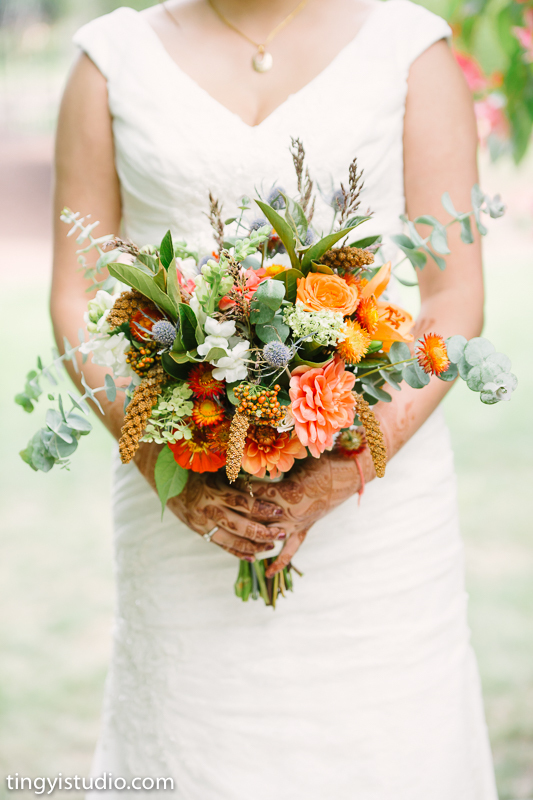 I love the wild look of these bouquets with so many varieties of greens. The ivy is especially beautiful and creates that loose free flowing look. We are very blessed to have Donna's husband, Mark Vanscyoc, generously photograph some of the special and everyday moments here at Flourish. He came over one summer morning recently to take some photos of the flower farm bathed in morning light. We are so happy to have this beauty captured so professionally! Please take the time to enjoy the following photos of one of our favorite places. Larkspur are such a dreamy early summer flower. This year we planted a big long row of them and they grew up to our shoulders! They brought us joy all through June and into early July. This was our first year trying to grow stock and it went pretty well! They had a short season in the field but we enjoyed them while we could. Our ornamental kale has been steadily growing all season and we can't wait to use it come fall. Thank you Mark for all these great shots! We appreciate you! Garden Party Photo Shoot with Char Co. Earlier this month we had the privilege to participate in a photo shoot with the marketing and storytelling studio, Char Co. The shoot was based on exploring what goes in to hosting a summer garden party and how to be a great hostess. Flowers are a great way to decorate when it comes to relaxing summer evenings with friends. We gathered some lush greens like ivy and tansy to make the base for this garland centerpiece, perfect for running down the middle of your garden party spread. Peonies are a favorite that were in full bloom early June and brought the perfect amount of blush color to the table. We also had some late blooming lilacs available; they look so beautiful as garnishes for drinks and place settings! Peony buds are also a sweet touch. You can never have too much natural garnish for the treats you're offering your guests. New buds and the small ends of flowers add just the right touch to set this dessert apart. So how about you? It's not too late to plan your summer garden party! You can check out some more pictures and ideas from the shoot on Char Co.'s blog here. This class was so much fun!! We had an abundance of spring flowers cut from the gardens here at Flourish. Bushy Viburnum, stunning tulips, delicate anemones, and dainty lilies of the valley were just a few of the selection to choose from. We also collected some field greens and other wild blooms that most anyone can find growing close by. Trisha created a demonstration centerpiece while explaining each step of building the arrangement starting with greens and adding color, texture, and flourish, one stem at a time. Everyone was free to choose their flowers and go to town on their own creations and the results were stunning! We were so grateful to have Mark VanSyoc with us to capture the beauty so well. Please enjoy the following photos he captured of our fun night together. Thank you so much to everyone who came out! We had several mother daughter duos and other good friends of Flourish come make this a beautiful evening enjoying the craft together. We might have to have another night like this with all the summer flowers later in the season! Last week Flourish had the pleasure of hosting our very first design class! It was a beautiful evening so we started with a stroll through the field to take in all the budding tulips and hunt for some anemone blooms. Then it was into the barn and all fun and hands-on learning. Trish taught us the technique for making a boutonniere and a wrist corsage using very practical step by step instructions. Everyone had a great time wiring, wrapping, and gluing the night away! Everyone's bout and corsage was so unique to them! We had some laughs and a couple prom flashbacks putting them on each other for our finished shot. Our next class is coming up soon on May 5th! If you want to join us to learn how to design spring centerpieces that evening please call or email us through our contact page. We would love to have you! 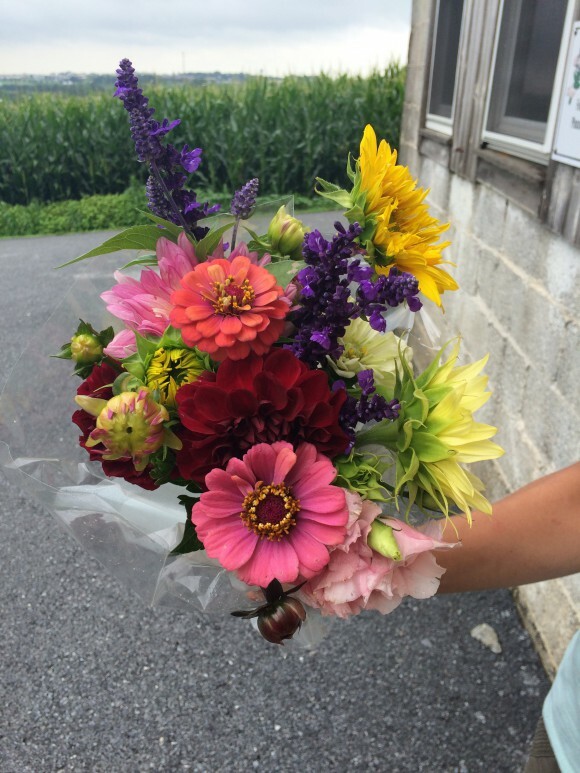 CSA Fresh Flower Subscriptions starting soon! We want to take a moment to remind you that our Community Supported Agriculture season is starting up again very soon! Flourish will be offering weekly fresh flower bouquets picked straight from gardens for your enjoyment through signing up for a CSA subscription. Bouquets will be available starting April 19th all the way through October 11th. That is 26 weeks of farm fresh beauty adorning your kitchen table throughout the entire growing season! If you want to have a beautiful bunch waiting in the barn with your name on it each week you have several options to choose from. You can sign up for the whole season for $312, plus tax, which includes a bouquet every week from April until October. Or you can choose a half season share, costing $156, plus tax. The first half runs weekly from April 19th through July 12th. The second half runs from July 19th through October 11th. The bouquets will be ready for pick up in the barn at Flourish by Tuesday each week. You can stop by whenever suits you best and take home your flowers or give them as gifts for friends and family. Sign up through our contact page or by calling Trish at (717) 715-5231 at least one week before the share begins. Here is a glimpse at another wedding we had the privilege of doing last October. Sonya chose this peachy pink color for her flowers and we used a mix of hydrangea, roses, lisianthus, and dahlias to bring it to life! We love the bright blue accents and classy gray suits. Enjoy the following photos captured by Abigail Zimmerman. The longer I'm in the wedding flower business, the more I notice different trends surfacing both locally and in the wedding world at large. Here are my insights into what is "in" right now. If anyone else cares to weigh in on what they think is popular for weddings this year, I'd love to hear it! We are seeing a lot of coral colors being requested once again. Also lots of blush colors: very light pinks, peaches and yellows. I am surprised to see a lot of this dark red maroon color (as pictured below). When coupled with lighter colors, like pink, it is stunning! Blues and grays, especially with yellow, are popular too. And of course, white is always gorgeous! A looser style for wedding bouquets and arrangements in general are taking center stage. The tight, compact bouquet is being replaced by lots of greenery and flowing, natural-looking bouquets with lots of garden flowers. Metallics, especially mercury glass, are showing up just about everywhere. Just look at the latest magazines with floral pictures! If you see a gold or silver vessel that looks antiquated - that's mercury glass! It gives everything a beautiful time-worn look while adding a sparkle at the same time. We love it! Ribbons! They are popping up - in bouquets, corsages and boutonnieres, and other decorations. They are beautiful when included in the bridal bouquet (and bridemaids) to add extra color and movement to the bouquet. We are also seeing long ribbon streamers cascading down from the handle of a bouquet. 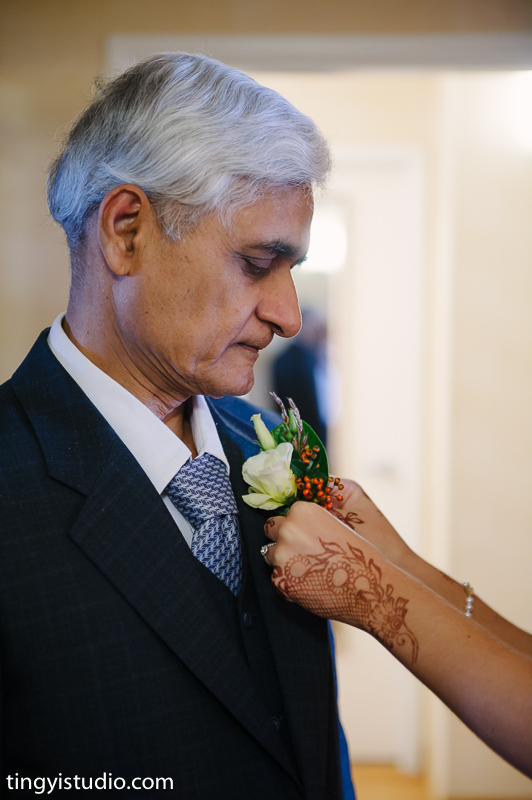 In corsages and boutonnieres, a tiny bow tucked underneath the flowers give an extra touch of color and grace. Garlands on focal pieces like arbors and trellises, are still a big favorite. And we are seeing them for table decorations too; going down the center of a long table, or a small garland circle in the middle of the table. Lots of greens with flowers. Yum! What else are you seeing? We would love to hear what you think is going to be big this year!